A window treatment comes in different types. Some would prefer to use shades and blinds while others still opt for more intricately designed curtains. Usually, these curtains would need tiebacks especially if the homeowners wanted to open and close the curtains. Well, a tieback doesn’t have to look ordinary and boring. 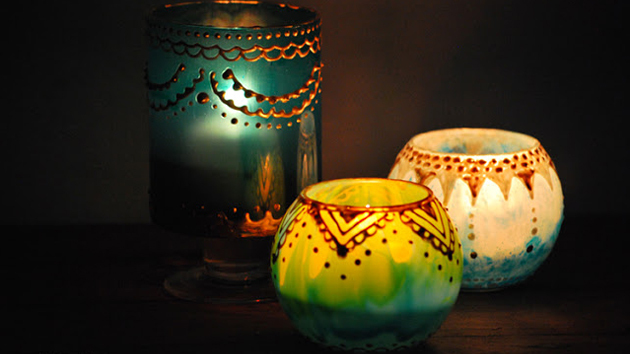 These can also have fabulous designs which can enhance the look of the home’s interior. 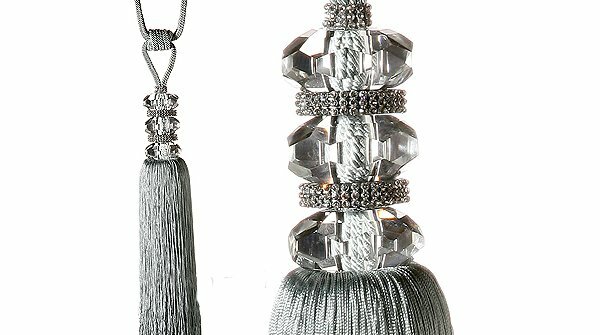 Bring in royalty with a tassel tieback made of a crown and crystal. This also comes in various colors which will surely complete your window presentation. The combination of Chelsea Green and Cream creates a stunning tieback with a lovely design. 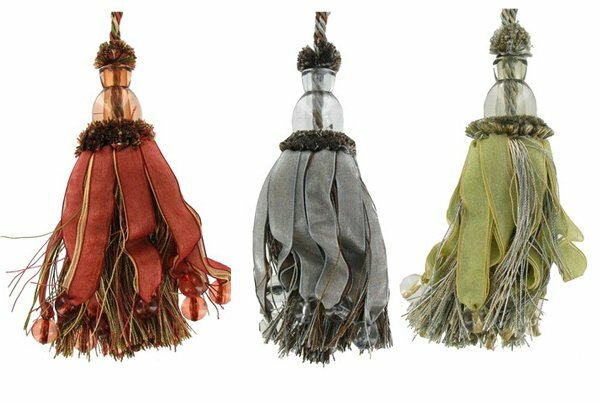 Made from silk-like materials, these tassels come in various colors which you can use to match with your curtains or drapes. 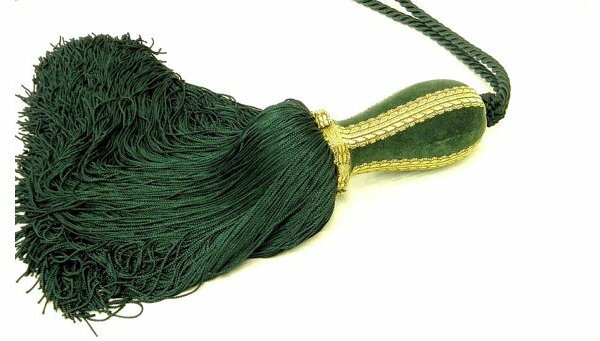 A green tieback for your curtains made from viscose and gold metallic yarn. Looking at this reminds us of a bell. 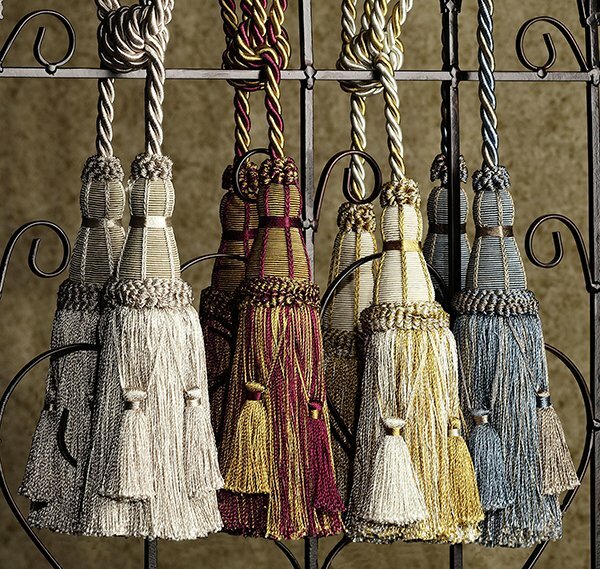 If you want a vintage feel to your home’s interior, this tassel could be the perfect choice. Just look at its crisscross which were carefully handmade. 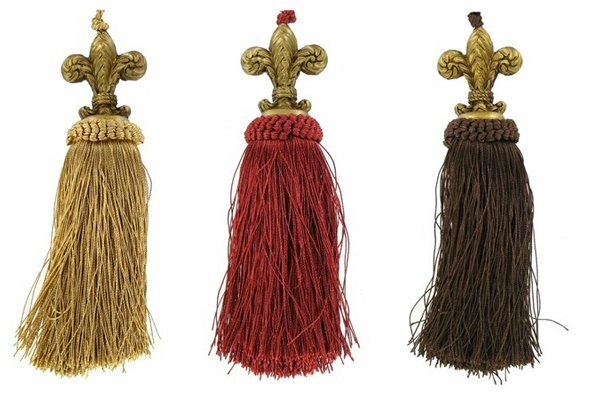 Enhance your home with these tassels with a Fleur De Lis designs. This would look good especially for a room with some vintage-y touches. 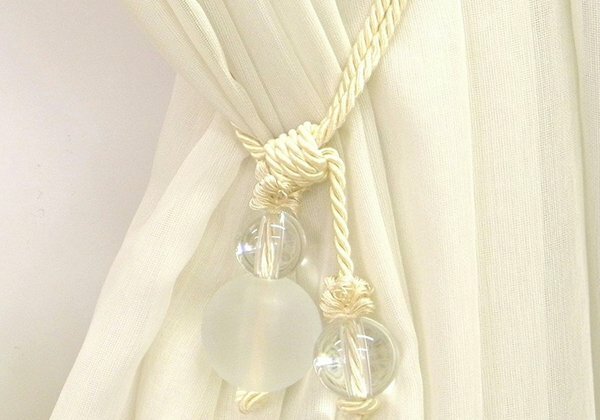 Clear bead accent, ruffled satin and multi-colored polyester/nylon made up this lovely curtain tiebacks. A gorgeous cut glass and diamante tieback with silk effect on the skirt- this will surely be an elegant addition to your window treatment! 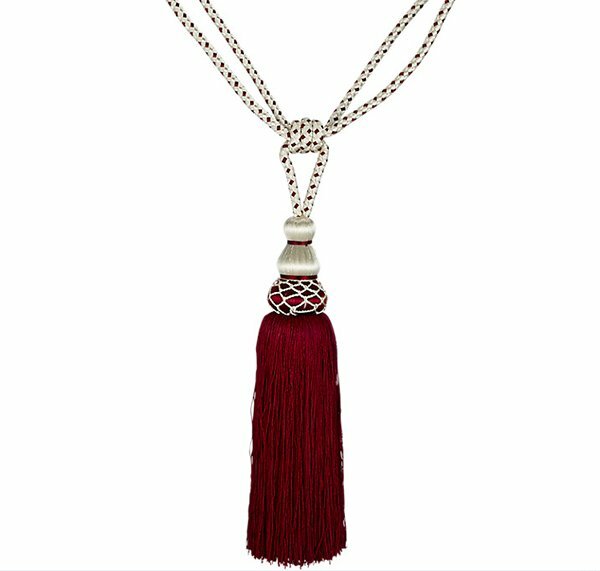 The combination of red and ivory for this tieback is superb and adorable! Each color made the other look even lovelier. 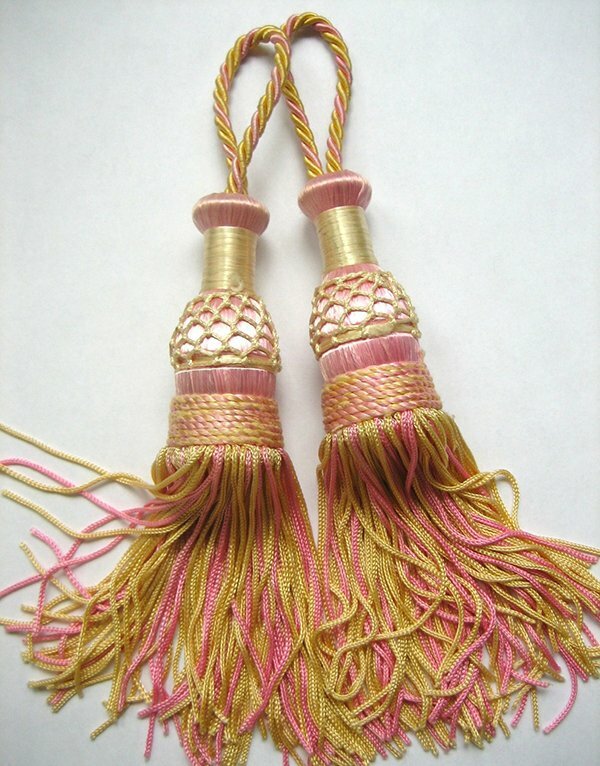 A modern version of a curtain tieback wherein the glass balls acted as the tassel. We love the simplicity of this one! 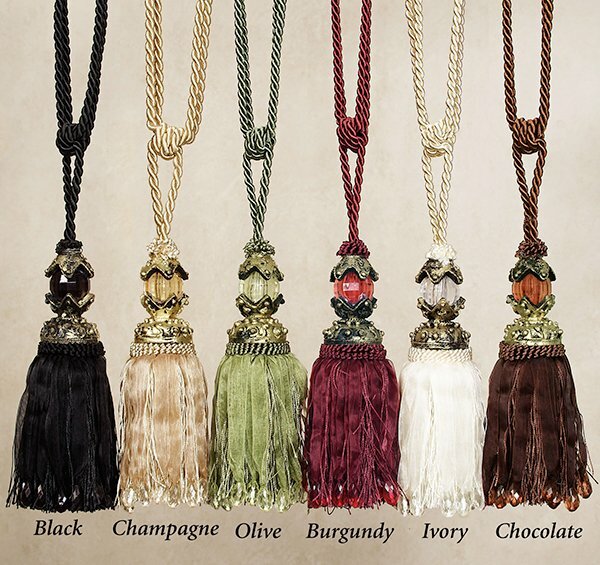 These tassels come in various color combinations. 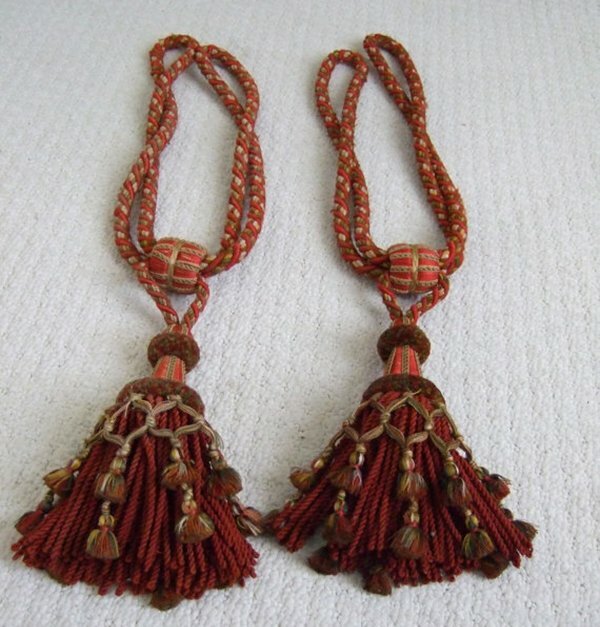 What make these unique are the tassels that look shabby. 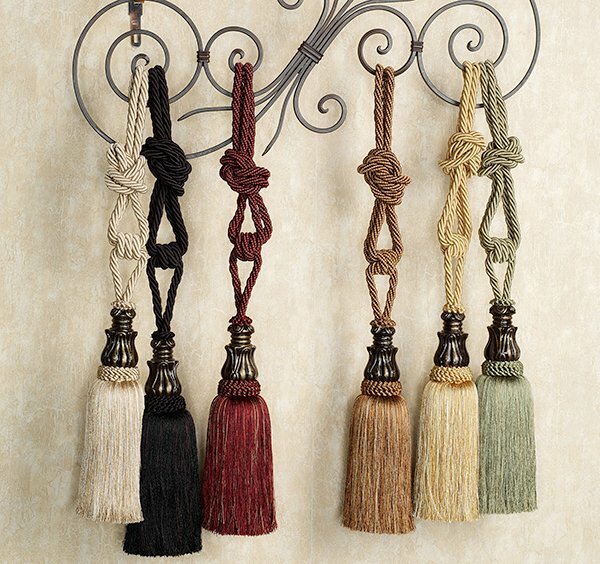 Handcrafted rayon tiebacks that are perfect when displayed with tapestries, curtains and drapery. It is available in a variety of color combos with handcrafted accents. 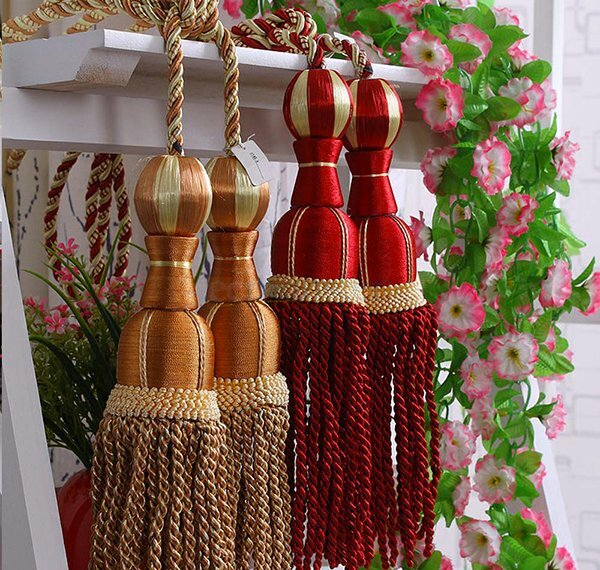 These decorative tassels will surely bring your curtain’s look to a different level of appeal. But be sure to pick the one with a color that matches with your window treatment. This one is so girly in vanilla cream and pink! You can use this even for the bedroom suit for a princess. 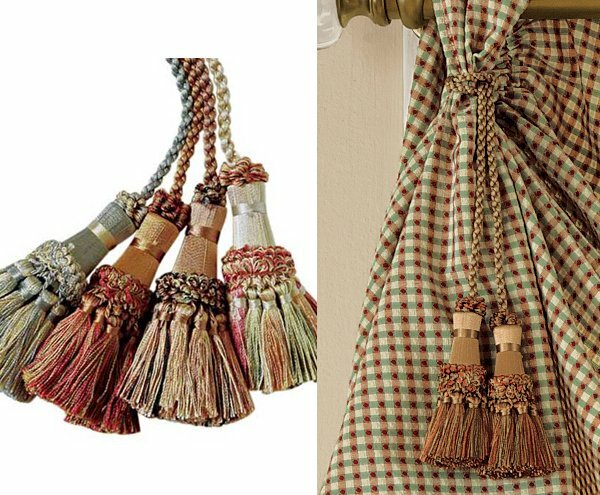 Braided rope tassels that feature resin antique gold la fleur accents could look pretty on your draperies! Isn’t this a beautiful list? 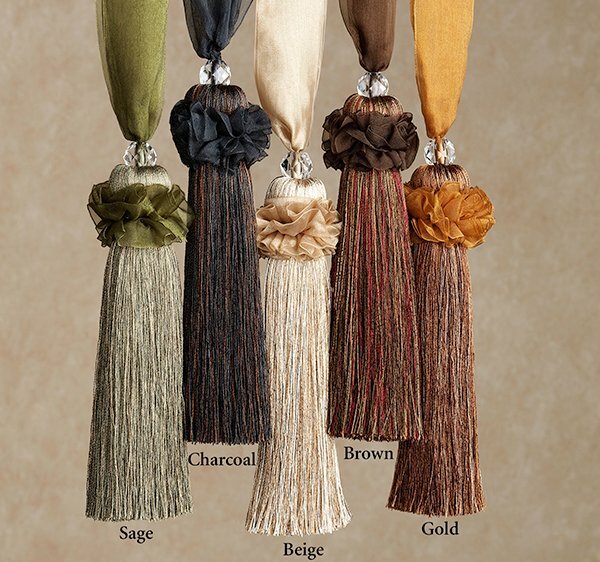 Well, some of us do not like to use tassels for the curtains and prefer simpler tiebacks but adding one can no doubt enhance the look of our window treatments and the entire interior as well. This shows that even a small accent can already affect the appeal of your home. That is why it is important that you always pick the right decors for your home so that it will look more inviting and welcoming! Want a modern interior? Why not check out these modern drapes? Yahh!!! it’s only a tieback for our curtains but they elegant. Fabulous,but are they not expensive? 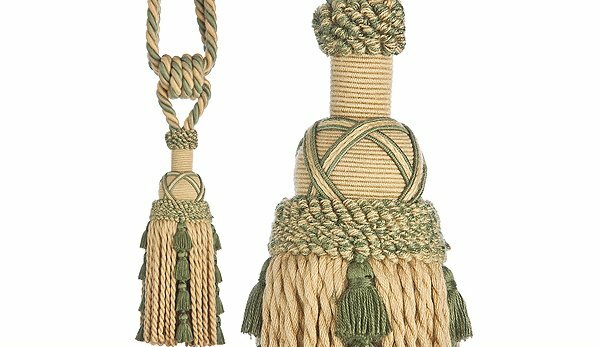 The Ghazal decorative tieback looks like a hair that’s tied. Attractive! !my mom love to collect like this for our curtains..
What would be the price please?